Past is past. Forget the past and eat all you can! Hi! My name is Alyssa. 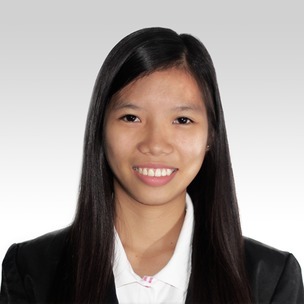 I am a Bachelor of Science in Real Estate Management graduate at University of San Carlos - Downtown Campus. I love eating Filipino food. My hobbies are listening to music and chatting with my friends. I'm also into travelling. I like travelling to places that has a lot of beautiful sceneries. Teaching is my passion because I really like interacting with other people especially kids. For me, teaching is like an adventure because I am able to meet new people and experience new things. I'm thrilled to be your teacher and be part of your journey in learning English. It is satisfying to know that I could help my students improve their speaking skills and knowledge in English. I hope to get along and build good relationship with you.